The Ocean Breeze Balcony Chair, with its sleek and versatile design and convenient swivel, is a fine choice for an outdoor grill island or balcony seating. 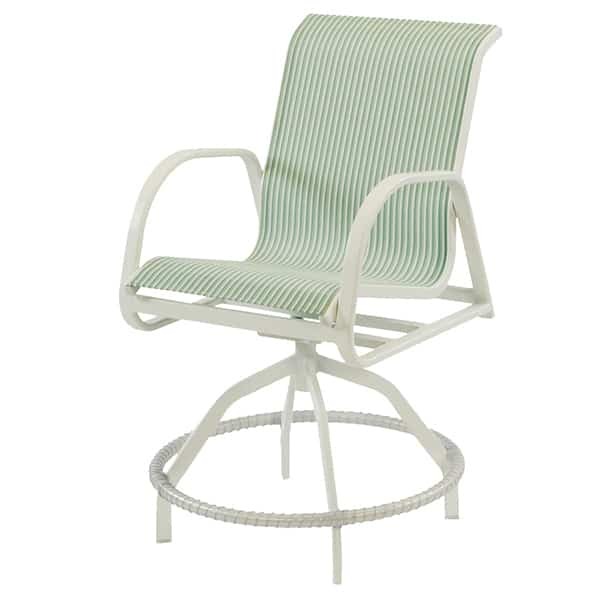 The Ocean Breeze Balcony Chair is crafted of carefree and rust-proof aluminum and has a powder-coat finish. The comfortable and quick-drying sling seats are double-stitched for durability. Custom-made in the USA, the Ocean Breeze Balcony Chair is available in a wide variety of frame finishes and fabrics.